Piñata by Pages Matam at the National Poetry Slam 2013. Awesome. A stunning example of the power of the spoken word. Speaking out against sexism and a really brave personal perspective. To the man on the bus I overheard tell a woman in conversation – presumably a friend: “you are too ugly to be raped…” Full text here. You can follow Pages on Twitter or Facebook. Ah, the sweet sight of resolutions falling by the wayside. They say that 88% of resolutions fail before the 6th January. So this year, I resolved not to make any firm resolutions until 31st January. The reasoning for this was two-fold. The first was so that I wouldn’t be part of a statistic for the masses (I would have a far more exclusive statistic of my own devising), and the second was that the hype of new years resolutions would have died down, and perhaps that would make me look at it more like creating a new habit that making some grandiose gesture. It’s fuzzy logic I know, but that’s how my mind works. 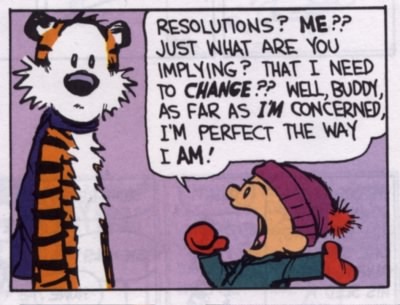 So, this being the case, happy belated-resolutions day, one and all! 1. Bloggety blog blog blog: Start blogging, and post at least one entry a day for 100 days. Thereafter post frequently and consistently. 2. Finish that novel: Write 1,000 words a week for Four and Twenty Blackbirds. 4. Exercise is necessary for the mind and body: get fit, and keep fit, exercise 3-4 times a week to get into good shape. 5. Excess baggage: eat well and lose those last few pounds. 6. The great balancing act: analyse working life and make sure that its going in a direction that I want to head into. 7. A penny saved: Have a look at finances and draw up a budget. 8. Catching the first worm: Get up early in the morning (or stay up all night) to watch the sunrise over the sea with BF.